A greedy villain tries to coerce a woman into marrying him so he can take over her land, when a stranger rides into town intent on taking down the bad guys. A satire of modern society recounting the adventures of the last in a line of Supermen, the film pokes fun at the processes that lie behind advertising, politics and our consumer society. The difference of behavior between the Italians and the other Europeans.The film is dedicated to those who believe, that Italians behave the same as all other Europeans. 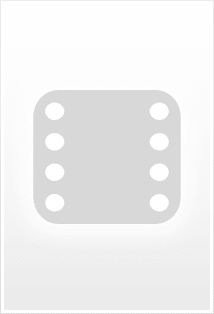 Ursus: Look who's back! Our beautiful cowboy dressed as a crow! It's not (just) how good you are in life but what language you speak or where you are from... or whether you can get your product out there or not. If the Duomo di Monreale was in Rome or Florence or Paris it would be regarded as just about the greatest church in Christendom... but it is just outside Palermo in Sicily, so who cares? Dutch anthropologists apparently came up with symbolism over a generation before Levi-Strauss, but who reads Dutch? Australian films pre-war were some of the best in the world... before the US film studios stitched up distribution and killed them all off. And who cares what rubbish your fizzy carbonated drink is, as long as it is the only one which gets distributed? Likewise it is with this gem of a cartoon Western, as fabulous at satirising the genre as all the Italian spaghetti Westerns of its time, most of the most famous of which it should vastly outrank in reputation. But it doesn't, and barely exists as a distant footnote in cinema history. 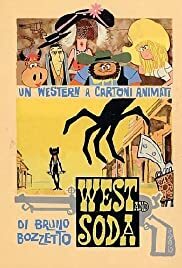 Italy was not remotely a cartooning power like the US or Czechoslovakia, so how could they make a fabulous full-length cartoon Western spoof? In fact, it is memorably good - I saw it as a child and am still impressed over 40 years later - and mixes serious plot with parody. It is that clever mixture of proper Western drama with an unmistakable cartoon satire which ultimately gives it its winning character. The inevitable final gunslinging shootout in the street is pure genius, and so much more clever and artful than the equivalent end-scenes which some famous spaghetti Westerns are famous for. One of the many obscure films which would constantly be celebrated if only they had and had had a wider audience. Out of an American studio.